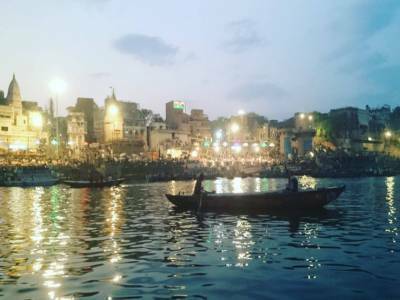 Banaras, presently known as Varanasi, is situated on the banks of river Ganga and the city has number of ghats (steps leading to the banks of River Ganges) - nearly 84. These ghats cover a 7 kilometer arc line of the Ganges riverfront starting from the River Assi in the south and ending at the River Varuna in the north. Many of them are more than a century old. Most of the ghats are bathing ghats. 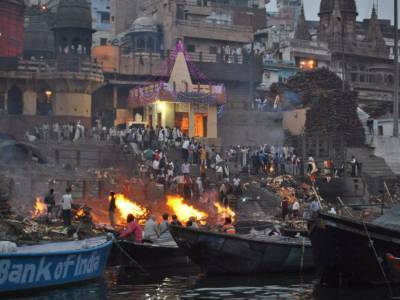 At some of the ghats, cremation is done. 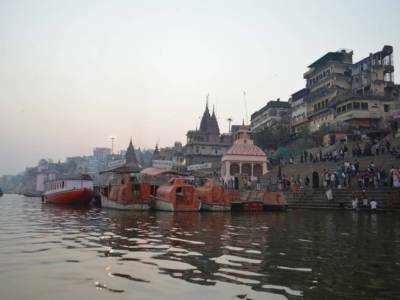 The Ghats are undoubtedly the most valuable assets of Varanasi. Morning boat ride on the Ganges across the ghats, as well as evening boat ride to see the Ganga Aarti is a popular travel attraction. One must make point to visit these Ghats. Each of the eighty-four Ghats of Varanasi holds some special significance. If your walk through the ghats, you will find people consulting astrologers, selling banarasi silk cloths and brass wares, doing exercise, or doing puja. 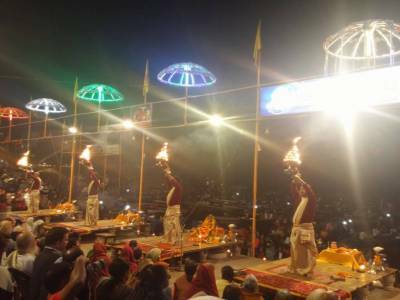 Out of 84 ghats, significant are: Assi Ghat, Brahma Ghat, Dashashwamedh Ghat (Evening Ganga Aarti is done here), Hanuman Ghat, Harish Chandra Ghat (Cremetion is done here), Kedar Ghat, Mana Mandira Ghat, Manikarnika Ghat (Cremetion is done here), Narada Ghat, Ram Ghat, Shivala Ghat, Shitala Ghat, and Tulsi Ghat (Here Poet Tulsidas Left for heavenly abode). 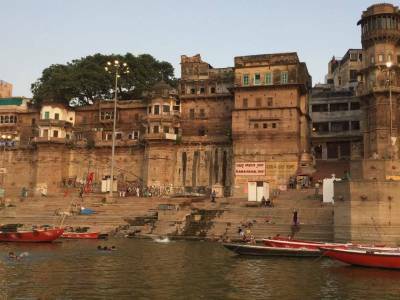 Get quick answers from travelers who visit to Banaras Ghats.